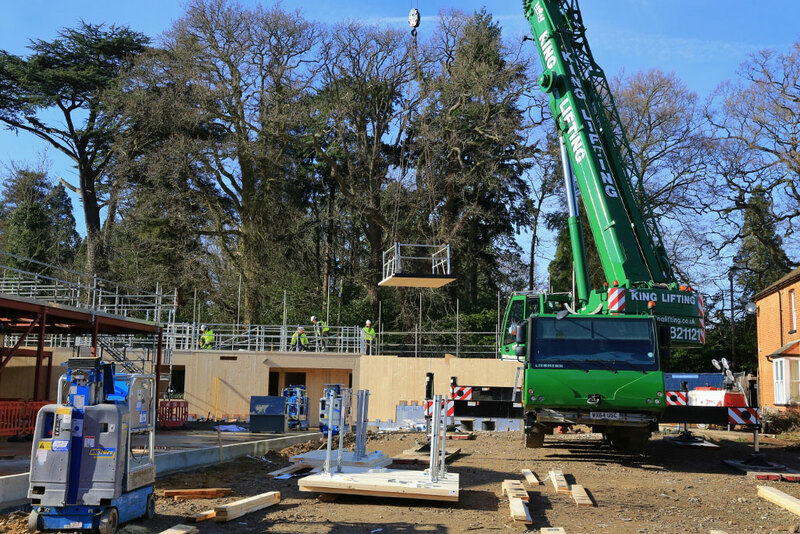 28.02.18 Royal Foresters Hotel, Ascot – CLT Structure arrives on site. The Royal Foresters is an old coaching inn which has been vacant for many years. The redevelopment began at the end of 2017 and now the old inn is being complemented by a new cross-laminated timber (CLT) structure which will form two Hotel wings and enclose new dining areas. Thanks to Vale Southern Construction for the photograph of B&K Structures assembling the first floor.